← Find Out What You Can Win During Your Next Recess! Dose anyone know where to find the plush? 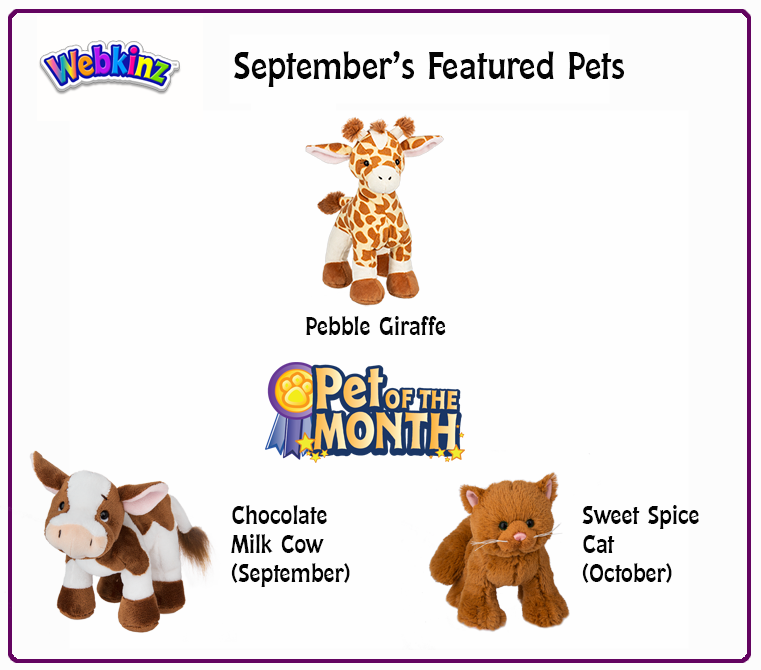 I can never find the pet of the month in the plush that’s cheap enough and the cats super cute they say people vote on which animal is the pet of the month the should let the people decide us if you know what I mean I would like to vote on which animal is the pet of the month anyone else? Unfortunately, I don’t know where you can get the Chocolate Milk Cow plush for a good price, but you can buy the virtual in the eStore. What they mean by having us vote for this POTM is that, on Facebook, they have a poll for people there to vote between two pets, and whichever pet wins is chosen as the next pet of the month. It is too bad that they don’t do any voting here though.. I think us Newz members would appreciate having some say in it too! The sweet spice cat is the pet of the month? That’s weird. Shortly after the sweet spice cat came out, it was completely removed from the plush ganz estore section without a word, almost as if it didn’t exist. I had just assumed they ran completely out of sweet spice cats, but I was confused why they didn’t alert everyone about it’s early retirement. As the sweet spice cat is October’s pet of the month, it looks like they didn’t run out of them? I don’t know, I just kind of confused. I love the giraffe and the cow! So cute! I want them so bad!! :( Wish I had money! !